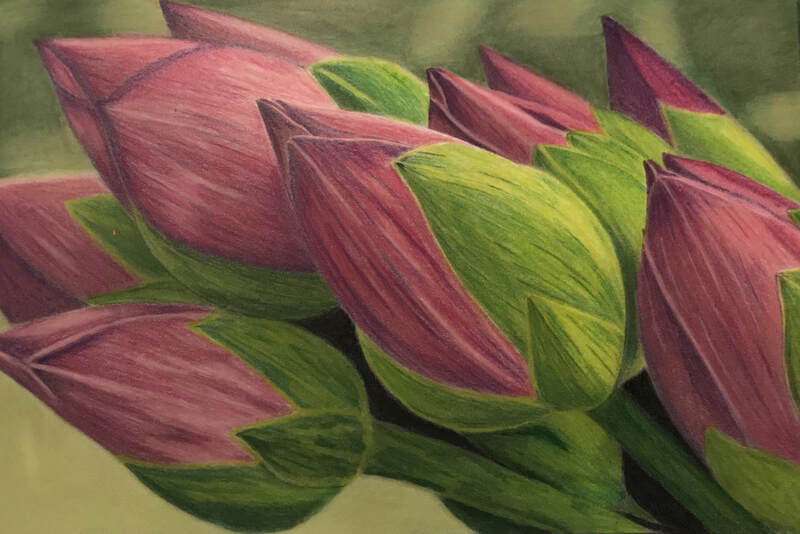 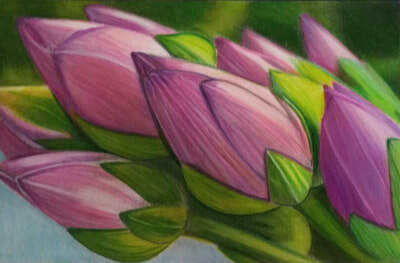 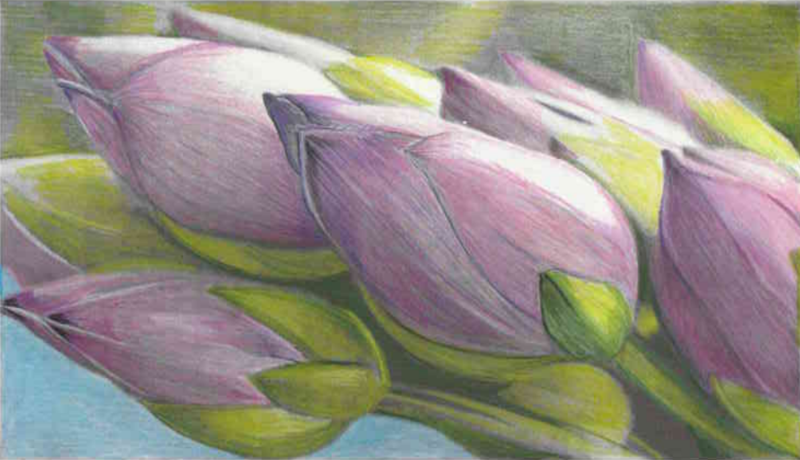 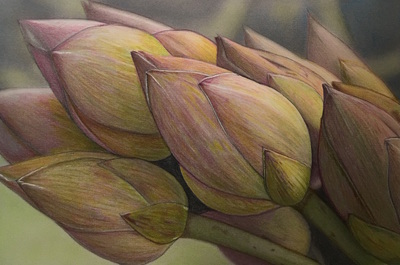 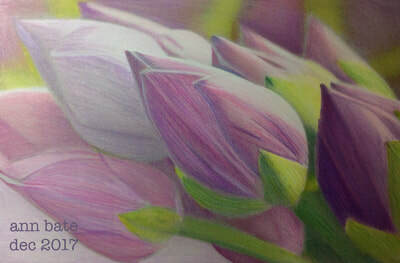 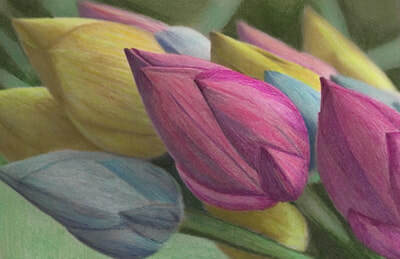 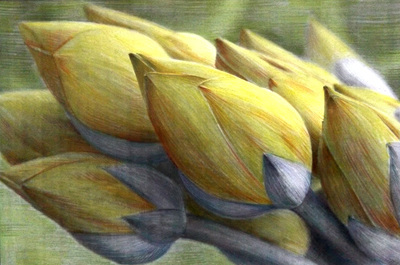 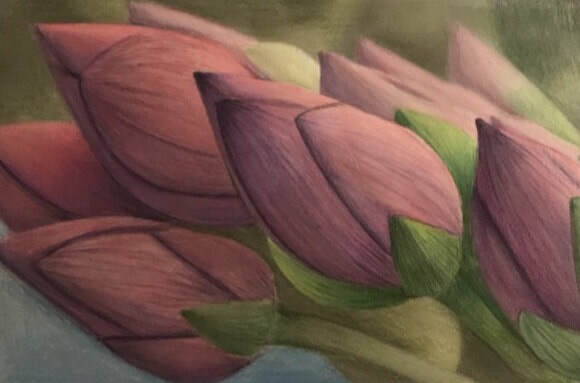 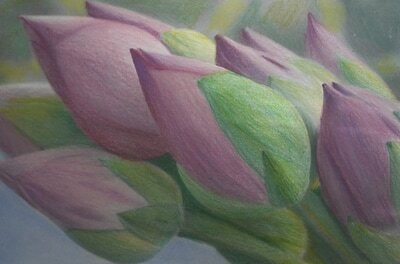 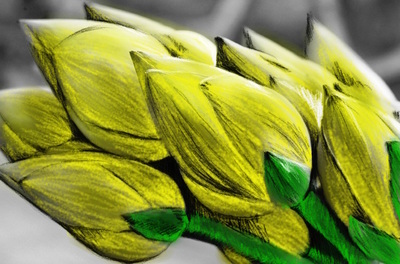 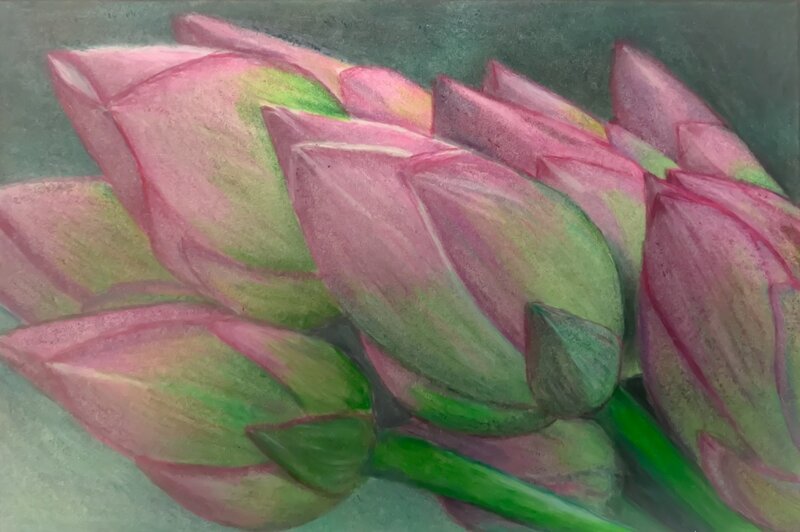 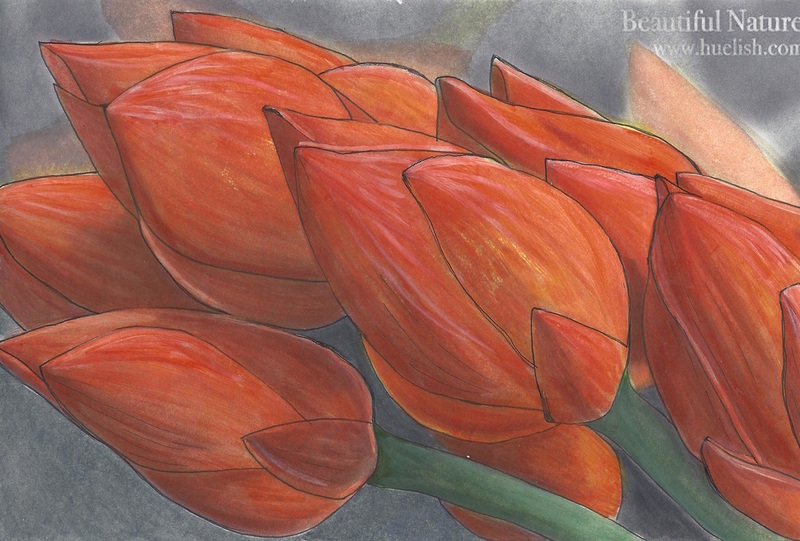 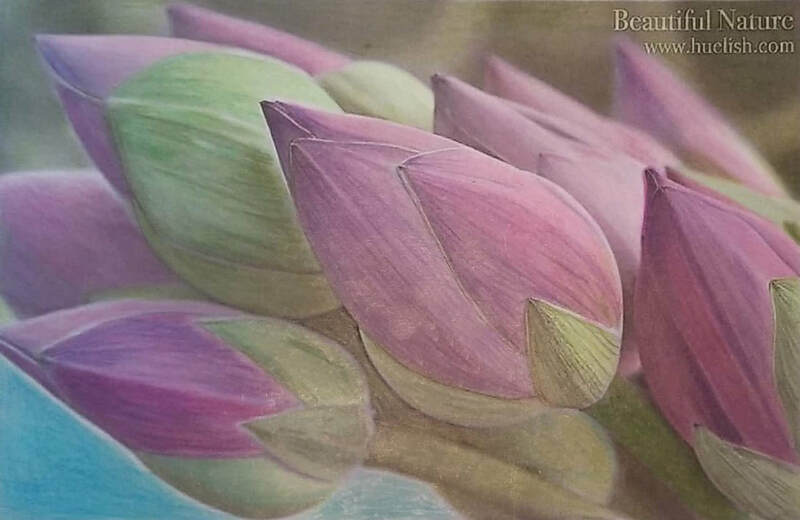 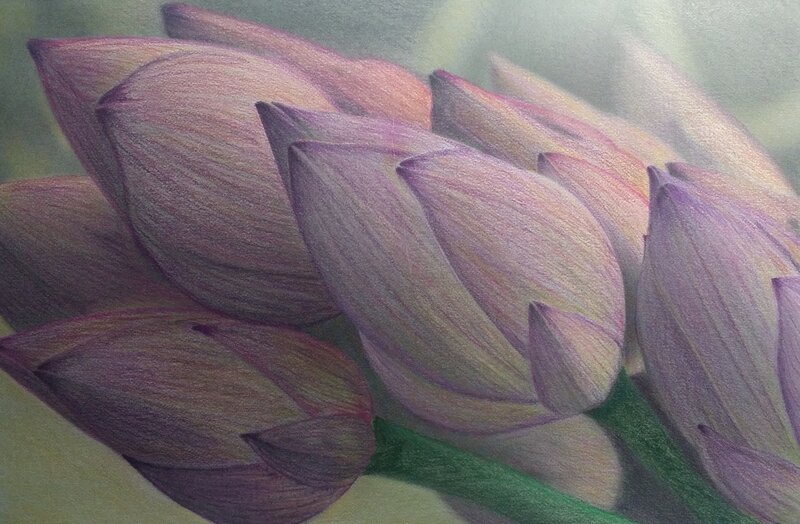 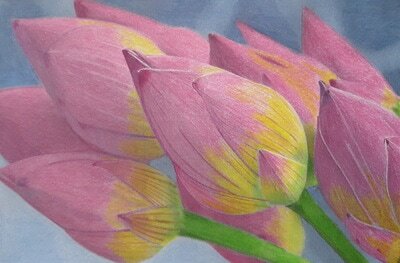 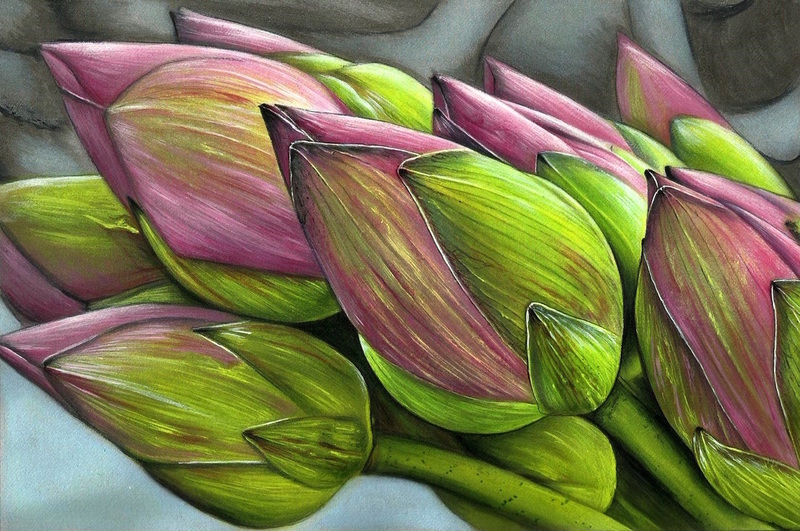 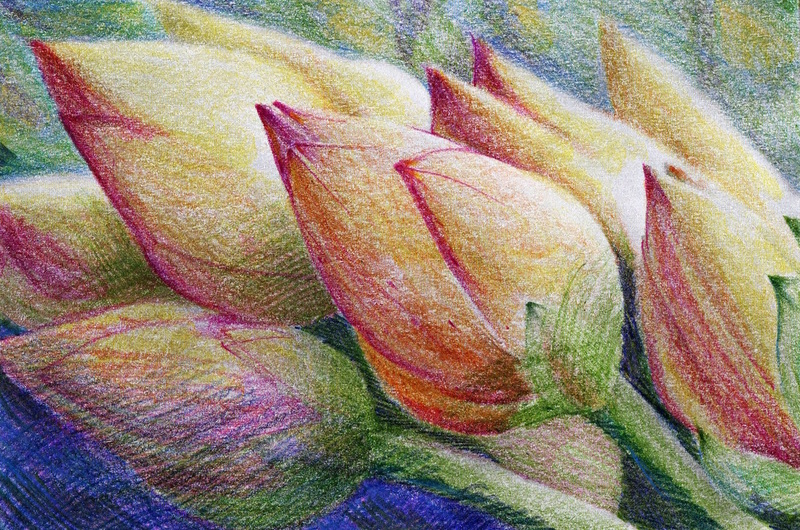 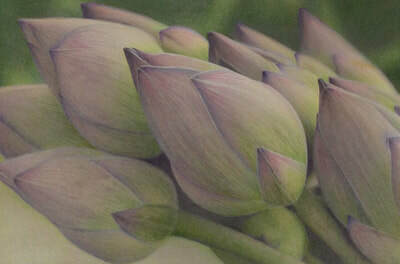 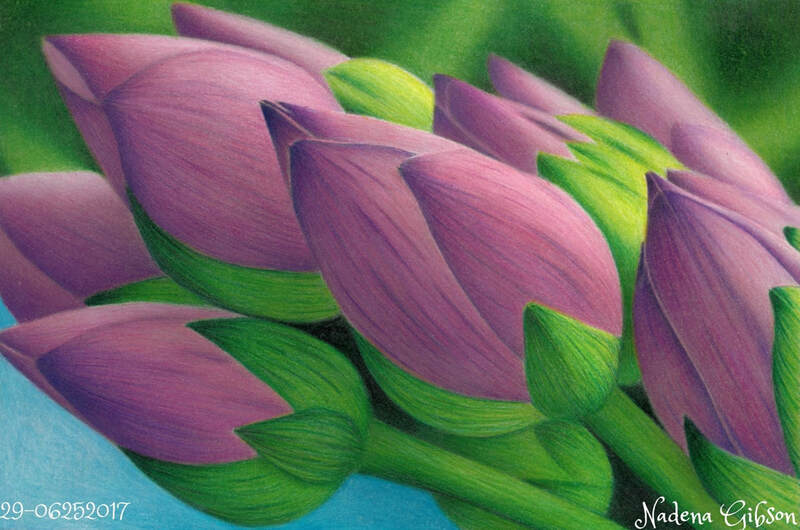 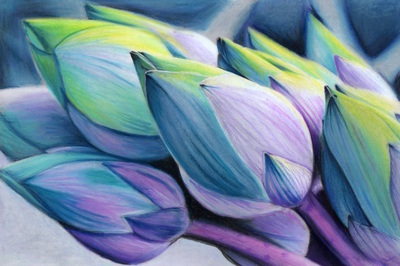 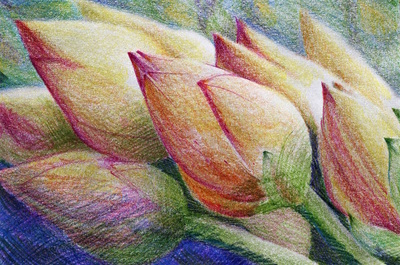 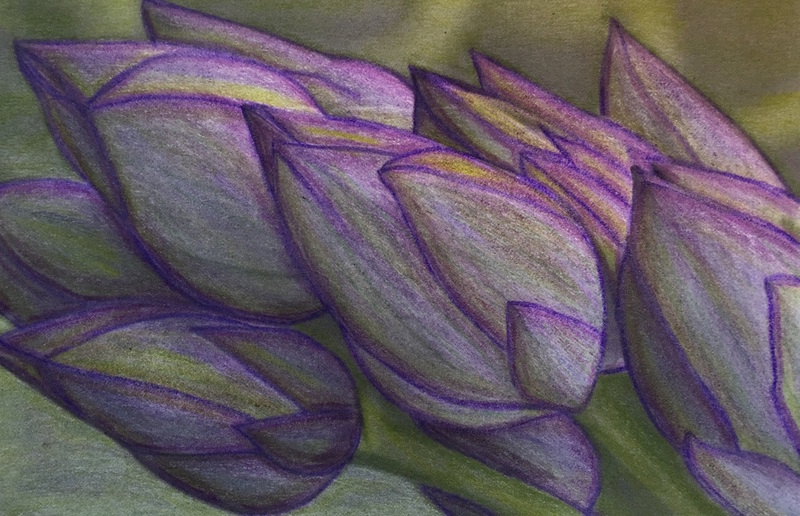 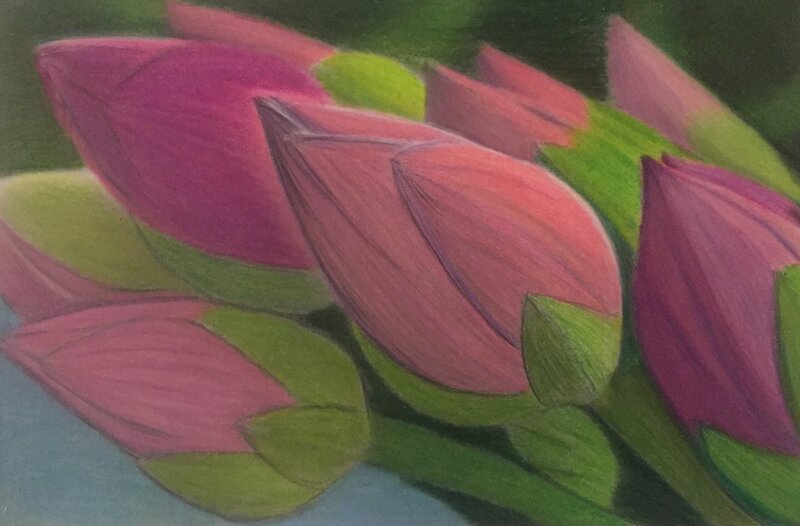 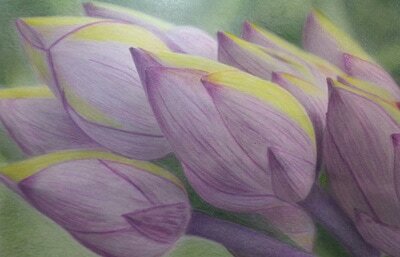 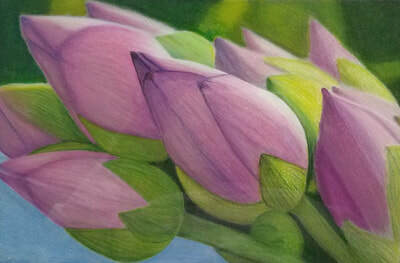 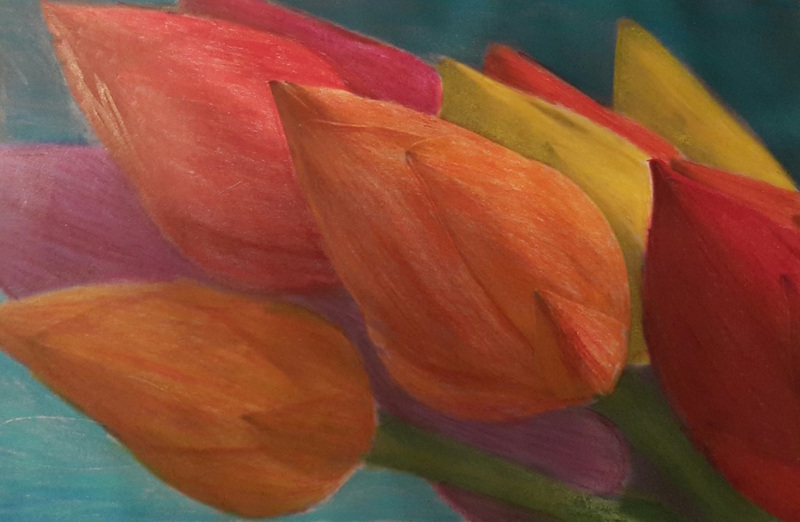 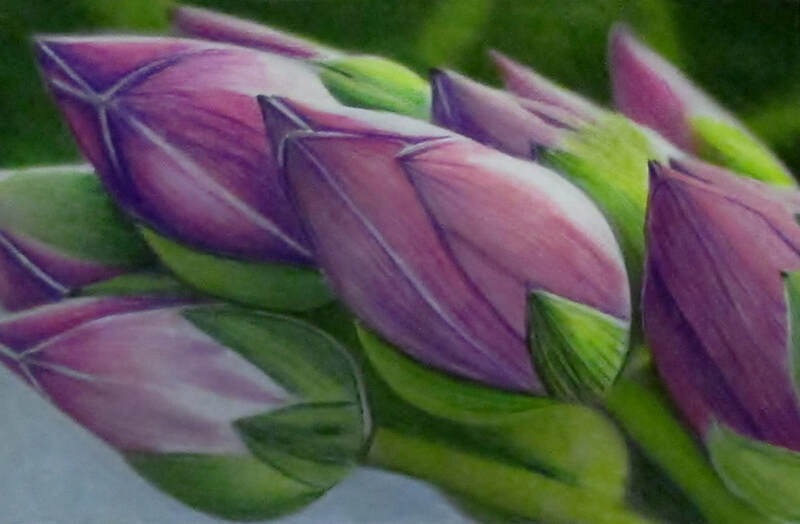 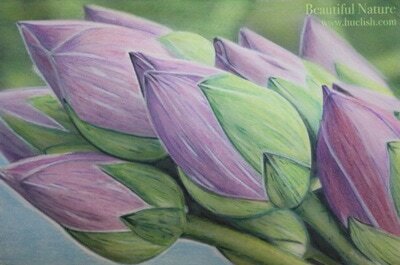 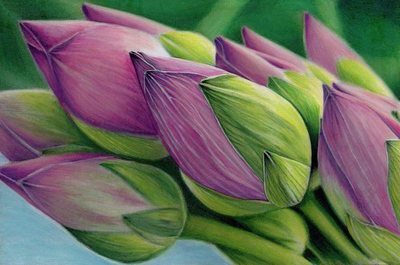 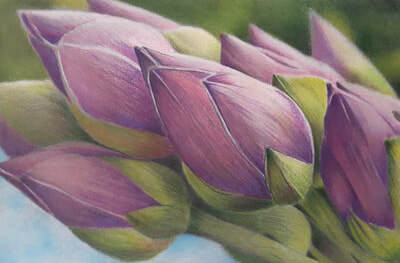 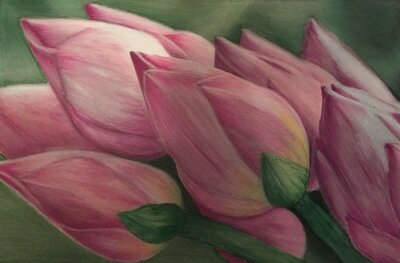 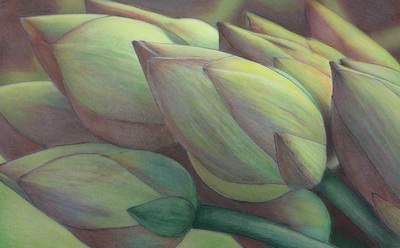 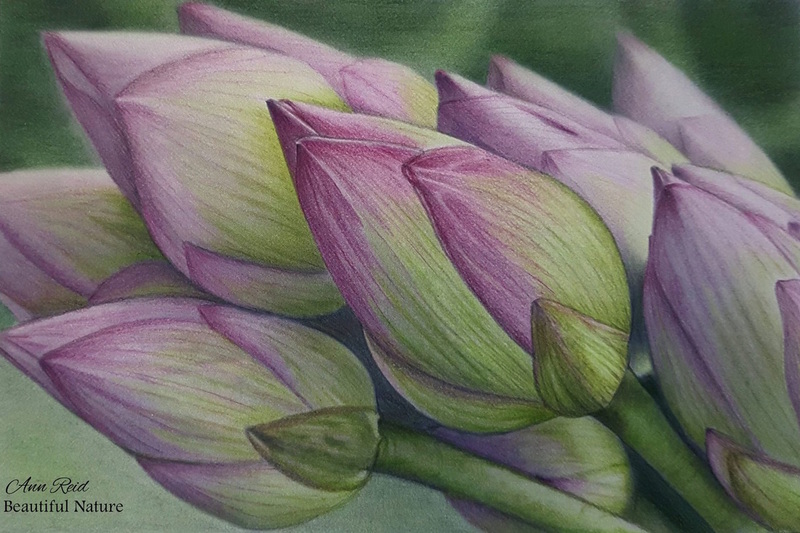 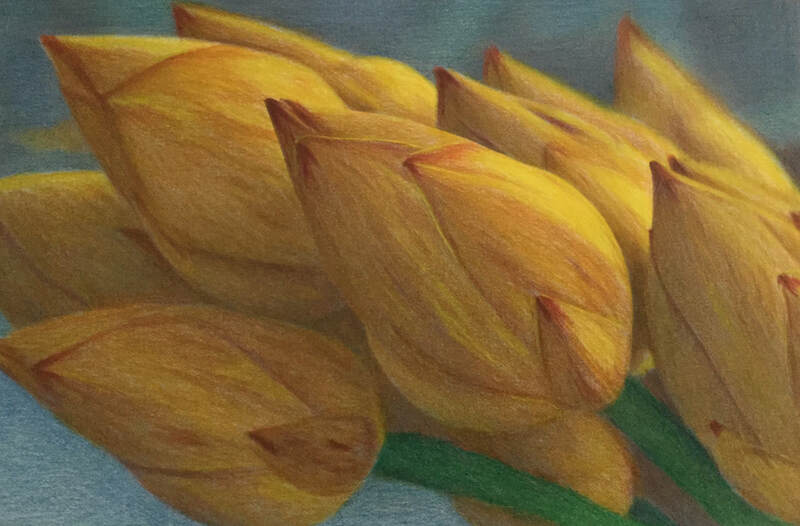 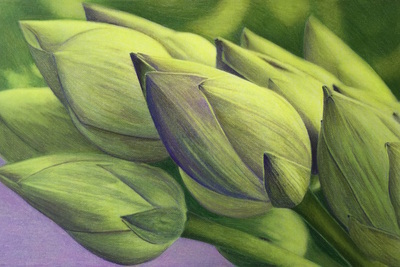 Learn 5 key coloring techniques for achieving a realistic and vibrant result when coloring the Lotus Flower Buds from Beautiful Nature. 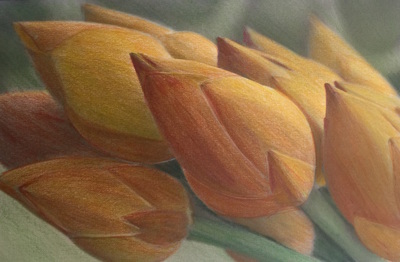 This is a full length, step-by-step tutorial and color-along taught by Jones Flores. A downloadable coloring page is provided. Below you will find examples of the lotus buds from the Beautiful Nature grayscale coloring book colored in different ways. Wherever possible we have included information on what materials the colorist used when coloring the grayscale image. 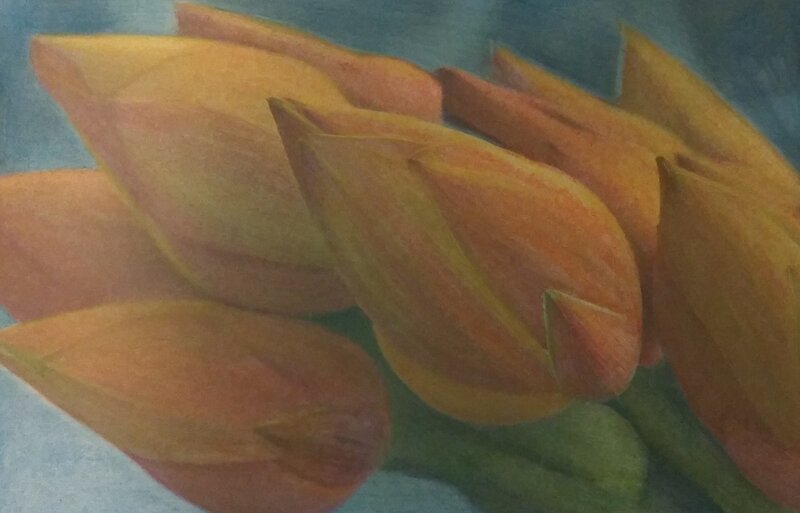 Just click an image to find out!